See, I like this. For the past few years, MLB has toyed around with ugly white and mismatched digital camo-in-logo for their Stars and Stripes caps worn on America holidays and 9/11. This year, they’re – rightfully – going all out with the digital camo worn by the US Marine Corps, which I love. You can get one at the MLB Shop (affiliate link, I’ll get a small commission for referring the sale). I personally liked the stars and stripes one, but this definitely a huge step up over the “camo in logo” version. Great Selfie Kyle. I’d like some duckface, but I’ll live without it. Awwww. Kyle, you are so young and cute. Flat brim and camo….the choice for those who keep it real. I bet bars in wildwood (aka the Mayfair Caribbean) will inundated with these hats this weekend! With the exception of the 2008 design, every one of those hats is dogshit ugly. Why not show their resepct with an armband or jersey patch? Pretty damn cool—-the hat that is. I’d definitely buy one. 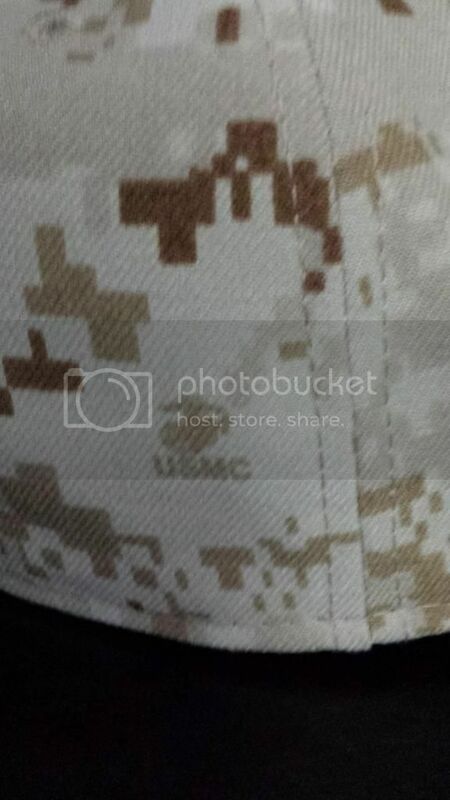 Some of the hats have the USMC logo in the camo pattern. you love posting selfies, are you a girl or just a homo? I’d feel a lot better about this if the digital camo wasn’t going to constantly remind me of the $5 billion mistake the government made when they switched to it. If it actually worked as camo, great. But it doesn’t, it’s idiotic and I’m going to think of yet another terrible mistake the government made every time the Phils wear these. MARPAT has been used since 2002 without alterations made to it and has been highly effective. The digital camo in last season’s design was the $5 billion mistake you were referring to. Ahh, did not know that, thanks for clearing it up. That definitely makes it better, and I might just get one of these hats then. Another rough day at work for Kyle. He spent about 30 minutes in the bathroom taking that selfie. I heard him yelling “OMG I do not like how my nose looks in this one, REDO!” After the selfie session he then proceeded to eat capn crunch in his boxers. Yes, he had milk dripping from his chin. I will never take another day off from work again. It reminds me that he is basically unemployed.